Hello, Friends! Happy Friday to ya! Here's my coloring for today. 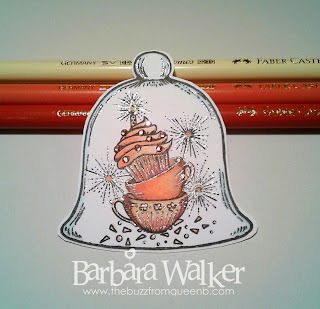 And as you might have guessed, I colored up yet another cloche from the Under Glass stamp set from Power Poppy. 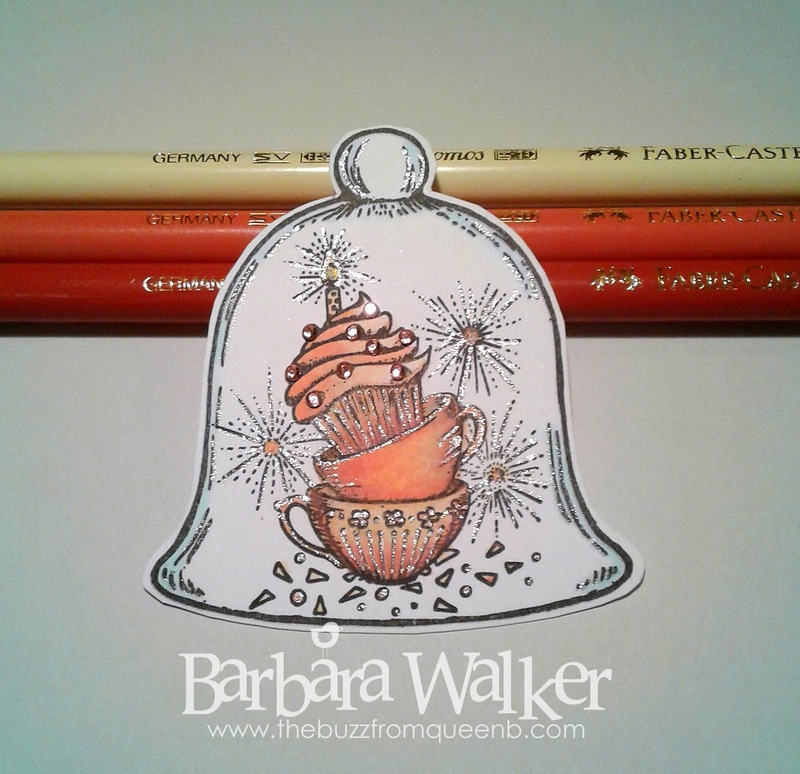 These little images are not only super cute, but they are a joy to color. This one is stamped onto smooth white card stock and colored with only three pencils. I wanted to challenge myself to use limited colors. I loaded it up with tiny twinkles and lots of sparkle. I chose to showcase this image today because it's my TWO year anniversary being an Instant Gardener with Power Poppy! I think that calls for cupcakes and fireworks! I love being part of the Power Poppy family. Marcella and the rest of the designers are the best of the bunch and I consider myself blessed to work with all of them. Soooo, I will have one more cloche to share with you tomorrow. And hopefully in the near future, I can turn all of these into cards! Congratulations on your Instant Gardener anniversary! That is awesome. Of course you need cupcakes and fireworks!! What a sweet little cloche, too. Wonderful coloring. I look forward to seeing the lovely cards you will create with these sweet images. Thank you so much for sharing, my friend! :) Hugs!